Less than a mile away from the Happiest Place on Earth, lies THE EMPTY GRAVE. 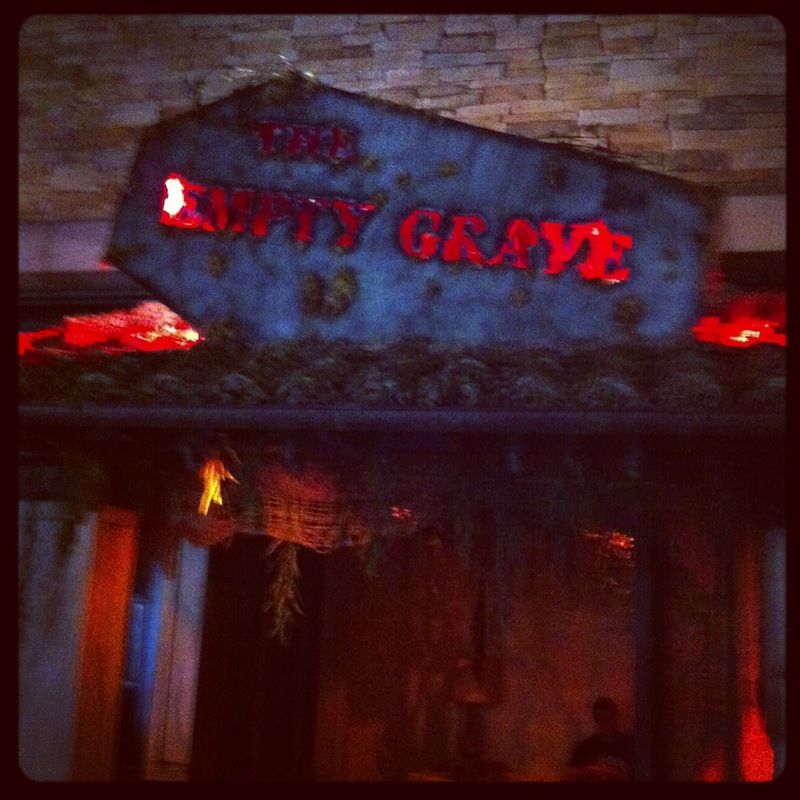 Nestled in the middle of the Anaheim Garden Walk, this creepy haunted attraction boasts an all-new maze for 2013. Even before you enter the maze, monsters slide, scream and even chase unsuspecting mall goers outside of THE EMPTY GRAVE. All this excitement is just a warm up for what is to come when you enter the Tobbarius Family Mortuary. The once-beautiful mortuary has now fallen into disrepair after being taken over by evil spirits that have refused to cross over to the other side. After an ominous warning, you enter the maze. There’s definitely an atmosphere of fear and foreboding created by effective music, lighting and fog. Each area of the maze from the interior of the church to the embalming room is detailed and designed for a high creep factor. What really propels The Empty Grave above the average haunt are the scare actors. They enjoy scaring the heck out of their customers, and it shows. This haunt is definitely worth a trip out to Anaheim.